The addition of large wood (LW) pieces is often part of fish habitat restoration projects. We investigated reach scale changes after the addition of LW that are relevant to juvenile Coho Salmon. Survivable habitat was characterized in terms of critical swim speed for juvenile Coho and bed stability. Model predictions shoed that survivable habitat increased by 86–128 % in terms of v and bed stability. Our findings are applicable to stream restoration efforts throughout the Pacific Northwest. We develop and test new methods for counting pebble-size distributions in photos of gravel-bed rivers. Our open-source algorithms provide good estimates in complex imagery from high-energy mountain rivers. We discuss methods of river cross section photo collection and processing into seamless georeferenced imagery. 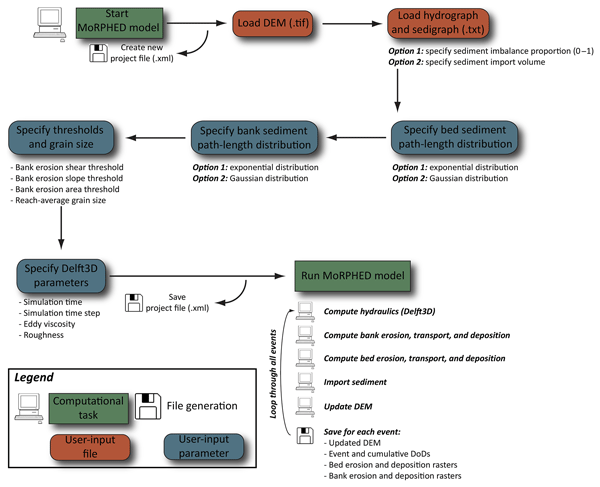 Application of a semi-automated version of the algorithm in small patches can be used as validation data for upscaling to entire survey sites using a fully automated version. Deep-seated gravitational spreading features are spectacular on Mars on the hillslopes of Valles Marineris, both in terms of landform freshness and size. This paper compares their dimensions and those in terrestrial analogue sites in the Tatra Mountains. Gravitational spreading is thought to be inactive in both locations. We find that the height-to-width ratio, ~0.24, is similar in spite of much larger strain in Valles Marineris. We explore the implications. Soil erosion, especially in vulnerable conditions such as post-fire landscapes or tilled agricultural soils, is greatly affected by the occurrence of bursts of intense rainfall. These are often set within longer periods of less intense rain. 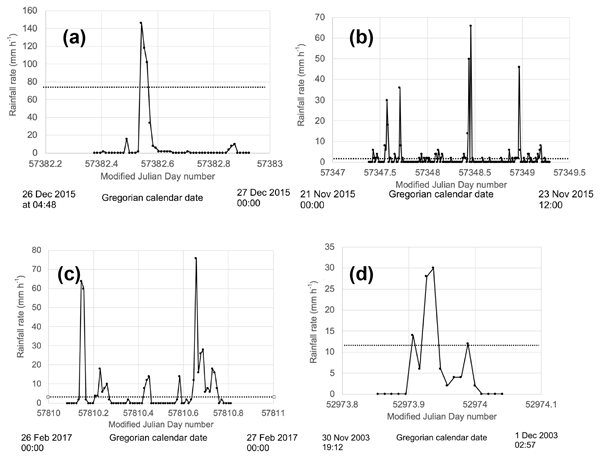 This paper documents the nature of the intensity bursts at two Australian locations and shows that high-resolution rainfall records are required in order to make estimates of the intensity. Hourly rainfall data are not suitable for this task. 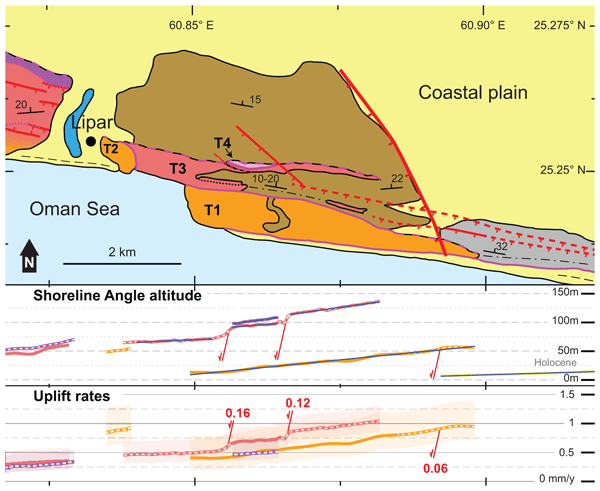 We studied and mapped uplifted marine terraces in southern Iran that are part of the Makran subduction zone. Our results show that most exposed terraces were formed in the last 35 000–250 000 years. Based on their altitude and the paleo sea-level, we derive surface uplift rates of 0.05–5 mm yr−1. The marine terraces, tilted with a short wavelength of 20–30 km, indicate a heterogeneous accumulation of deformation in the overriding plate. River deltas are valuable resources that support biodiversity and human habitation. Despite this we do not have a global census of deltas nor do we know the conditions that promote their formation. We surveyed 5,399 river mouths greater than 50 m wide and found that 2,174 (40 %) create a delta. The conditions that lead to delta formation are high sediment input and low wave and tide conditions. These results can be used to understand how deltas will adapt to environmental changes. In the last 50 years the Adygine glacier has been subject to relatively fast recession comparable to other glaciers in Tien Shan. 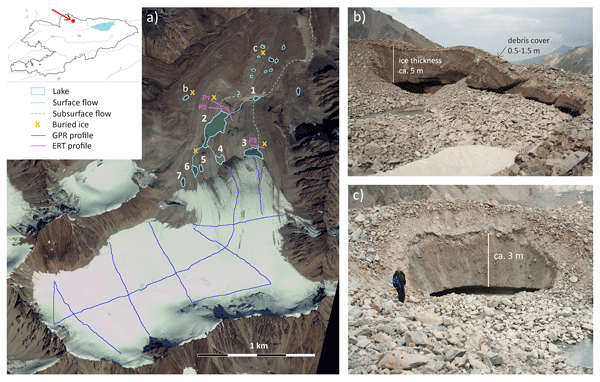 As a consequence, a three-level cascade of glacial lakes formed, two of which were categorised as having medium outburst susceptibility. By 2050, the glacier is expected to have shrunk to 56–73 % of its 2012 extent. Further development of the site will result in formation of new lakes and probably also increase of outburst susceptibility due to permafrost degradation. Mountain-building processes are often investigated by assuming a steady state, meaning the balance between opposing forces, like mass influx and mass outflux. 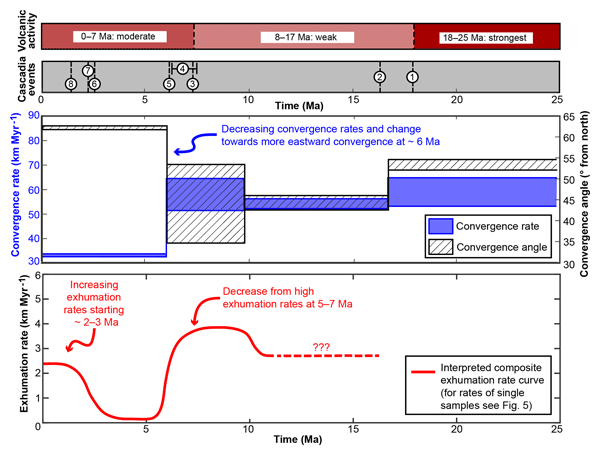 This work shows that the Olympic Mountains are in flux steady state on long timescales (i.e., 14 Myr), but the flux steady state could be disturbed on shorter timescales, especially by the Plio–Pleistocene glaciation. 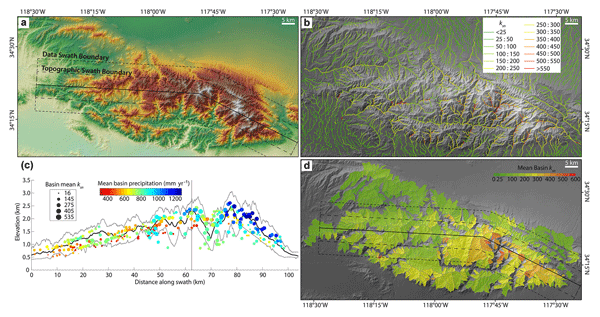 The contribution highlights the temporally nonsteady evolution of mountain ranges. Lakes and swales are real landscape features, but are generally treated as data errors when calculating water flow across a surface. This is a problem because depressions can store water and fragment drainage networks. Until now, there has been no good generalised approach to calculate which depressions fill and overflow, and which do not. 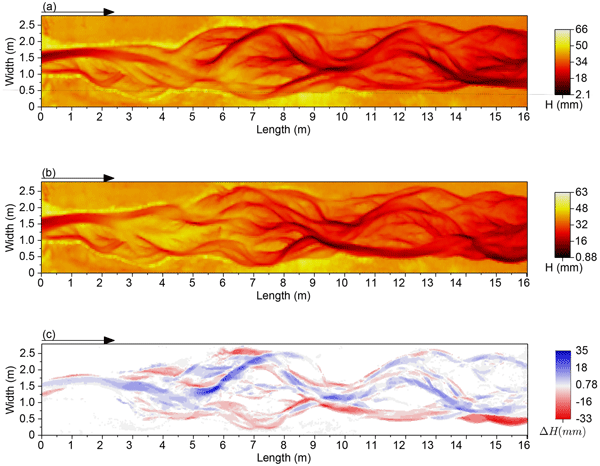 We addressed this problem by simulating runoff flow across a landscape, selectively flooding depressions and more realistically connecting lakes and rivers. In Bangladesh, we measure how water and sediment move through tidal channels in an area heavily impacted by both sea-level rise and the strategies that humans use to adapt. 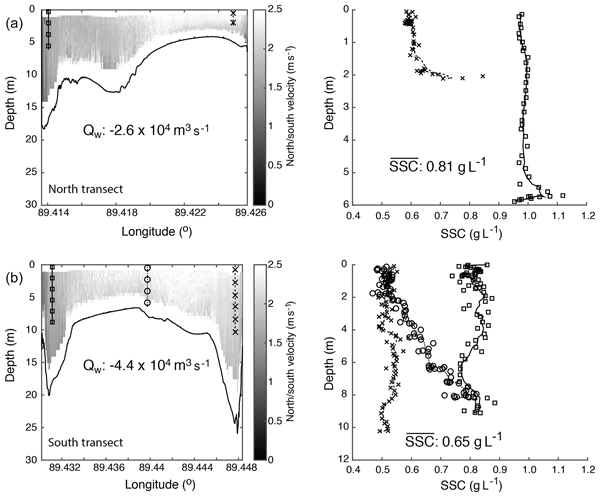 We found that the amount of water moving through the system is largely controlled by the strength of the tides, while the mass of sediment being transported is strongly connected to the season and to a lesser extent the tides. These results are important for developing strategies to protect both human and natural landscapes. Rivers with different patterns flow over different materials. We describe the case of a meandering bedrock river with loose sediment (sand or gravel) on the bed. In such rivers, the sediment hits and erodes the bed as it moves with the flow. We did experiments in a laboratory flume to identify the areas where the sediment moves and those where it deposits. We discovered that those areas change with the amount of sediment in the channel and its curvature. The rate of change is very important. Storms are often related to coastal dune erosion. We found that, for specific coastal settings, storms may enhance dune growth rather than only undermine it. Using a computer model and long-term monitoring data, we see that storms may bring sand from areas that are frequently inundated to areas that are often above the water. When above the water, this sand can be more easily transported by the wind and deposited on the dunes. These findings may help coastal managers and policymakers. The shape of landscapes is influenced by climate changes, faulting or the nature of the rocks under the surface. One of the most sensitive parts of the landscape to these changes is the river system that eventually adapts to such changes by adapting its slope, the most extreme example being a waterfall. 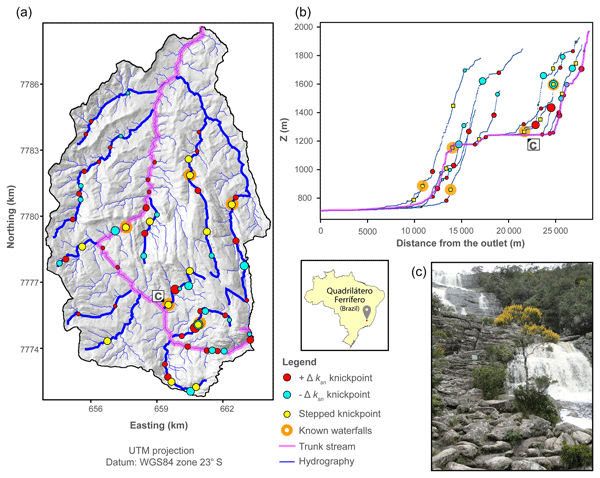 We here present an algorithm that extracts changes in river slope over large areas from satellite data with the aim of investigating climatic, tectonic or geologic changes in the landscape. 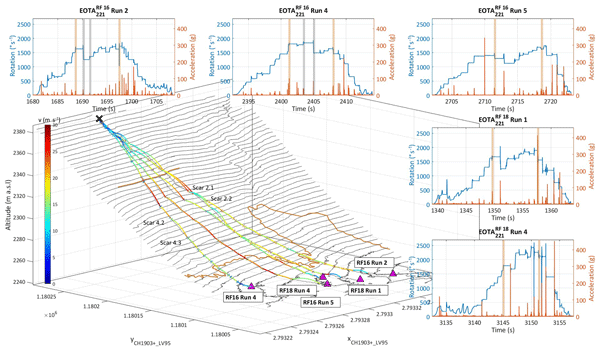 We use a statistical earthquake generator to investigate the influence of fault activity on river profile development and on the formation of co-seismic knickpoints. We find that the height distribution of knickpoints resulting from a purely seismic fault is homogeneous. Shallow aseismic slip favors knickpoints generated by large magnitude earthquakes nucleating at depth. 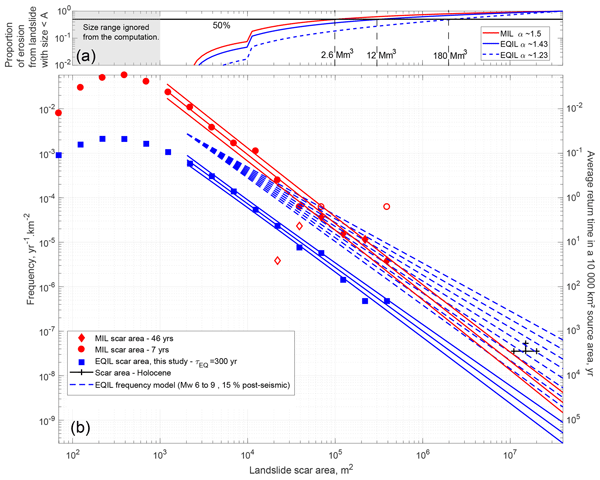 Accounting for fault burial by alluvial cover can modulate the topographic expression of earthquakes and fault activity. In rockfall hazard assessment, knowledge about the precise flight path of assumed boulders is vital for its accuracy. We present the full reconstruction of artificially induced rockfall events. The extracted information such as exact velocities, jump heights and lengths provide detailed insights into how rotating rocks interact with the ground. The information serves as future calibration of rockfall modelling tools with the goal of even more realistic modelling predictions. Researchers studying gravel bedded rivers almost always require a sample of the bed surface grain size range. These samples are typically expressed as cumulative frequency distributions. We present a technique for generating confidence intervals for the various size percentiles. This gives other researchers the ability to estimate the uncertainty of their samples, and to refine their sampling methods to achieve the desired level of precision. We used high-resolution topography collected over four years to investigate how two watersheds in Colorado responded to the June 2012 High Park Fire and an extreme flood in September 2013. After the fire, sediment eroded from the hillslopes and deposited in valley bottoms, and the large flood eroded much of this deposited sediment. Patterns of erosion and deposition were related to landscape characteristics, burn severity, and rainfall, which may inform future post-fire treatment strategy. 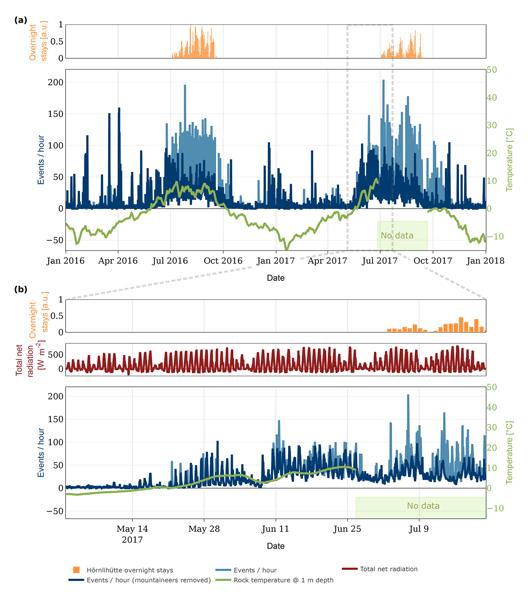 We apply machine learning techniques to quantify and explain differences between recent palaeoclimates with regards to factors that are important in shaping the Earth's surface. We find that changes in ice cover, near surface air temperature and rainfall duration create the most distinct differences. We also identify regions particularly prone to changes in rainfall and temperature controlled erosion, which will help with the interpretation of erosion rates and geological archives. Glacial erosion is known to limit the height of midlatitude mountain ranges affected by substantial glaciation during cold periods. Our study examines this phenomenon in the tropics. 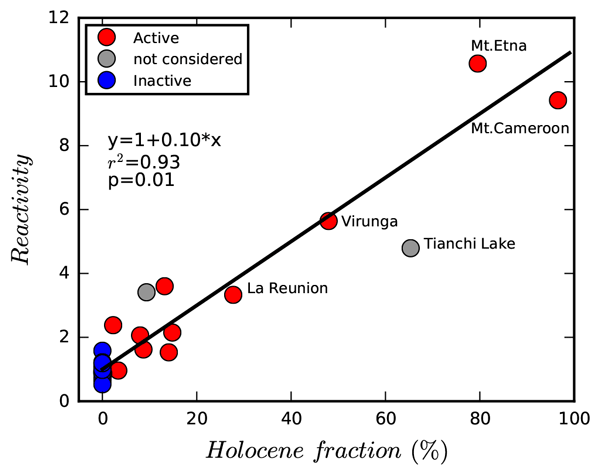 A new form of hypsometric analysis, along with other evidence, of 10 tropical ranges reveals widespread signs of a perched glacial base level at the ELA. 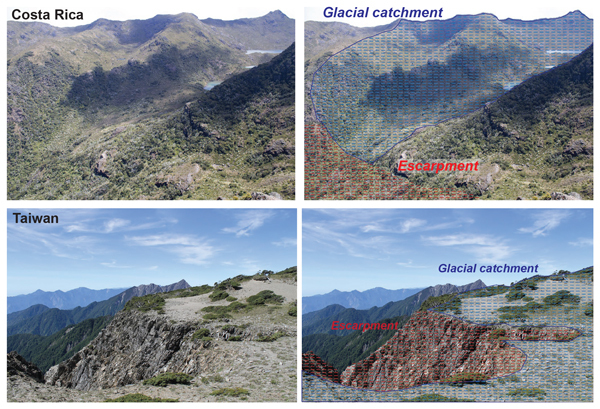 Although glacial influence is moderate to weak in these environments, the evidence suggests that glacial erosion acts to limit the height of tropical ranges. We evaluated the performance of a drone system to reconstruct the 3D topography.We used a direct georeferencing method to make the pictures have precise coordinates, which also improve the survey efficiency. With both consumer-grade and professional-grade camera/drone setups, we obtained centimetric accuracy, which provides a flexible application in topography remote sensing using drone.